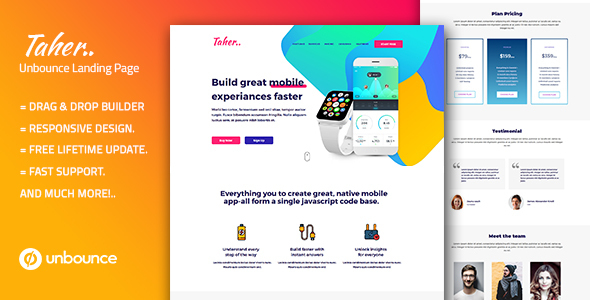 Taher is a Creative Responsive Unbounce Landing Page Template for many purposes, it could be used as startup, company, design studio, business or websites. Create high conversion landing pages in minutes! Customer satisfaction is our top priority, Don’t hesitate to contact us Before Buy: Contact Us if you require any assistance. We will try our best to reply within 24 hours.